Randy Milller is a moderately successful high school choir director who through an extraordinary set of circumstances is catapulted almost overnight into stardom. He becomes a famous rock celebrity-but does it bring true happiness? 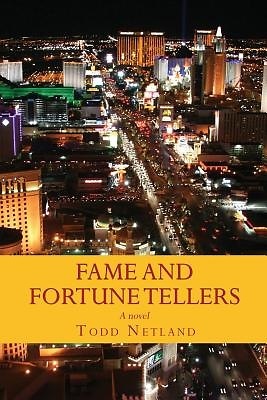 Many problems arise in his life to mar the glitter of Fame and Fortune. In this fast-paced, cliffhanger novel of suspense and danger, Randy Miller encounters several other characters who change his life forever: an impulsive and bumbling young Christian man, a vibrant Pentecostal girl, a communist revolutionary with his ragtag group of crusaders, and finally, a wicked serial murderer and drunkard. This novel is an adventure of one man's journey into the spirit world to try to find out what is really on the other side. This is a look into the battle between good and evil with the feel of Frank Peretti's This Present Darkness with a twist. Todd Netland is an accomplished pianist, composer, and arranger. He has traveled to more than fifty countries with Jon Stemkoski's Celebrant Singers. He currently resides in Concord, California.